Facebook CEO Mark Zuckerberg’s prepared testimony for his hearing before the House Energy and Commerce Committee on Wednesday has been published. In the prepared testimony, Zuckerberg praised Facebook’s ability to make “voices heard,” and “all the good that connecting people can bring,” while the Facebook CEO cited #MeToo and the anti-gun March For Our Lives as positive movements that the social network helped to create. In the prepared speech, Zuckerberg continued to explain his version of events surrounding the Cambridge Analytica controversy, before revealing what Facebook is doing about it, and boasts about having interfered with the online aspects of the 2017 presidential elections in France and Germany, and the U.S. Senate Alabama election last year. Facebook revealed last week that up to 87 million users allegedly had their data improperly shared. Zuckerberg is set to appear before the House Energy and Commerce Committee on Wednesday, April 11. 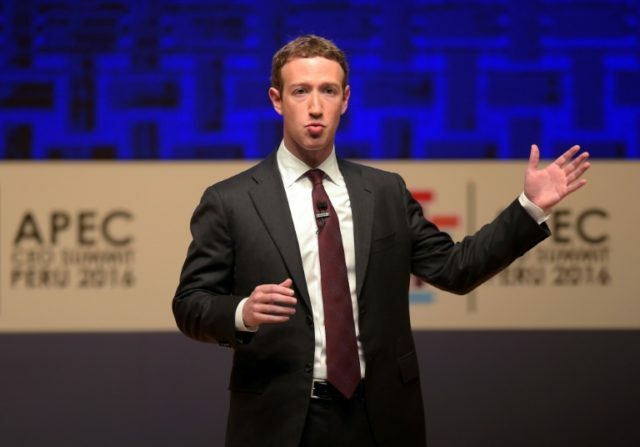 On Tuesday, April 10, one day before his hearing before the House Energy and Commerce Committee, Zuckerberg will also appear before the Senate Judiciary and Senate Commerce Committee. A report discovered that Facebook has previously donated to 46 out of 55 of the members of the House Energy and Commerce Committee. consent, so we immediately banned Kogan’s app from our platform, and demanded that Kogan and other entities he gave the data to, including Cambridge Analytica, formally certify that they had deleted all improperly acquired data — which they ultimately did. • Safeguarding our platform. We need to make sure that developers like Kogan who got access to a lot of information in the past can’t get access to as much information going forward. – We made some big changes to the Facebook platform in 2014 to dramatically restrict the amount of data that developers can access and to proactively review the apps on our platform. This makes it so a developer today can’t do what Kogan did years ago. – But there’s more we can do here to limit the information developers can access and put more safeguards in place to prevent abuse. We’re removing developers’ access to your data if you haven’t used their app in three months. We’re reducing the data you give an app when you approve it to only your name, profile photo, and email address. That’s a lot less than apps can get on any other major app platform. We’re requiring developers to not only get approval but also to sign a contract that imposes strict requirements in order to ask anyone for access to their posts or other private data. We’re restricting more APIs like groups and events. You should be able to sign into apps and share your public information easily, but anything that might also share other people’s information — like other posts in groups you’re in or other people going to events you’re going to — will be much more restricted. Two weeks ago, we found out that a feature that lets you look someone up by their phone number and email was abused. This feature is useful in cases where people have the same name, but it was abused to link people’s public Facebook information to a phone number they already had. When we found out about the abuse, we shut this feature down. • Investigating other apps. We’re in the process of investigating every app that had access to a large amount of information before we locked down our platform in 2014. If we detect suspicious activity, we’ll do a full forensic audit. And if we find that someone is improperly using data, we’ll ban them and tell everyone affected. • Building better controls. Finally, we’re making it easier to understand which apps you’ve allowed to access your data. This week we started showing everyone a list of the apps you’ve used and an easy way to revoke their permissions to your data. You can already do this in your privacy settings, but we’re going to put it at the top of News Feed to make sure everyone sees it. And we also told everyone whose Facebook information may have been shared with Cambridge Analytica. – In France, leading up to the presidential election in 2017, we found and took down 30,000 fake accounts. – In Germany, before the 2017 elections, we worked directly with the election commission to learn from them about the threats they saw and to share information. – In the U.S. Senate Alabama special election last year, we deployed new AI tools that proactively detected and removed fake accounts from Macedonia trying to spread misinformation. – We have disabled thousands of accounts tied to organized, financially motivated fake news spammers. These investigations have been used to improve our automated systems that find fake accounts. – Last week, we took down more than 270 additional pages and accounts operated by the IRA and used to target people in Russia and Russian speakers in countries like Azerbaijan, Uzbekistan and Ukraine. Some of the pages we removed belong to Russian news organizations that we determined were controlled by the IRA. – I’ve directed our teams to invest so much in security — on top of the other investments we’re making — that it will significantly impact our profitability going forward. But I want to be clear about what our priority is: protecting our community is more important than maximizing our profits. – From now on, every advertiser who wants to run political or issue ads will need to be authorized. To get authorized, advertisers will need to confirm their identity and location. Any advertiser who doesn’t pass will be prohibited from running political or issue ads. We will also label them and advertisers will have to show you who paid for them. We’re starting this in the U.S. and expanding to the rest of the world in the coming months. – For even greater political ads transparency, we have also built a tool that lets anyone see all of the ads a page is running. We’re testing this in Canada now and we’ll launch it globally this summer. We’re also creating a searchable archive of past political ads. – We will also require people who manage large pages to be verified as well. This will make it much harder for people to run pages using fake accounts, or to grow virally and spread misinformation or divisive content that way. – In order to require verification for all of these pages and advertisers, we will hire thousands of more people. We’re committed to getting this done in time for the critical months before the 2018 elections in the U.S. as well as elections in Mexico, Brazil, India, Pakistan and elsewhere in the next year. – These steps by themselves won’t stop all people trying to game the system. But they will make it a lot harder for anyone to do what the Russians did during the 2016 election and use fake accounts and pages to run ads. Election interference is a problem that’s bigger than any one platform, and that’s why we support the Honest Ads Act. This will help raise the bar for all political advertising online.